We created these daily readings for the week of Easter to help prepare our hearts to remember and celebrate the life, death, and resurrection of Jesus our Savior! We encourage you to spend some time each day in these readings, not only reading them but processing their implications on your life and your love for God! This week you might notice that we are using palm branches in our Easter branding. 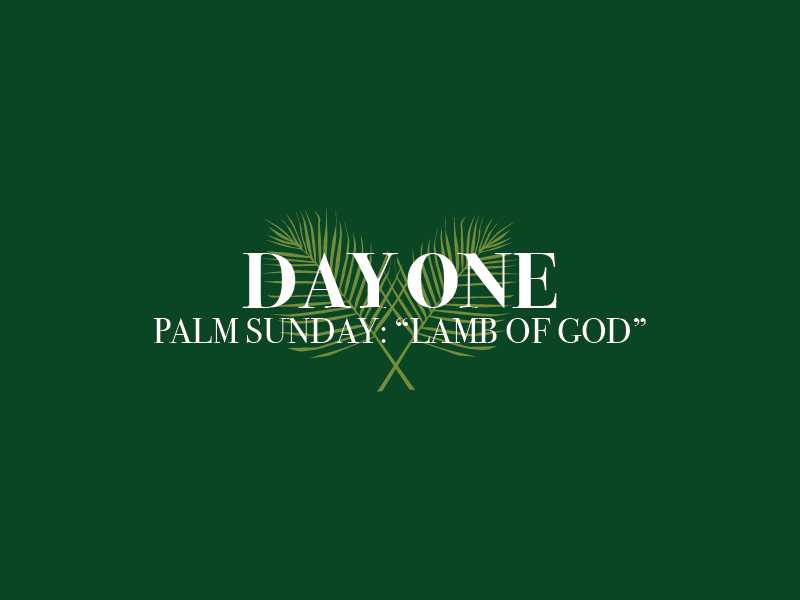 This is because the crowds laid down palm branches before the triumphal entry of Jesus into Jerusalem that first Palm Sunday believing that “Hosanna in the Highest” had come. This week lay down our praises believing that Jesus is Hosanna- the One who saves! Jesus entered Jerusalem on Palm Sunday not as a conquering king, but as the sacrificial Lamb of God!